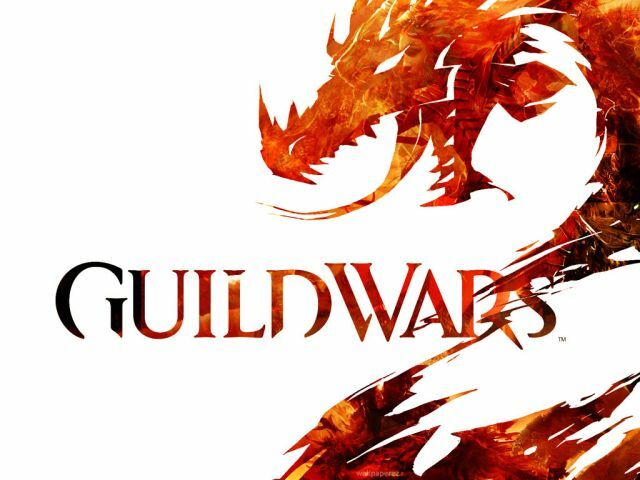 ArenaNet, developer of the acclaimed Guild Wars franchise, today announced that it will be releasing significant updates to player vs. player (PvP) mode in Guild Wars 2. The studio is adding and overhauling game features in the MMO that are meant to pave the way for more high-level competitive play. That includes big upgrades to areas such as matchmaking, player ranking systems and map selection, giving players more opportunities to find level opponents and hone their skills. The updates are slated for release on December 2. The release marks one of two major milestones in early December for ArenaNet and how it’s embracing the increasingly popular competitive play modes in Guild Wars 2. On December 5, ArenaNet and KongZhong, publisher of Guild Wars 2 in China, will host the inaugural World Tournament Series (WTS) Championships in Beijing. Top teams from North America, Europe and China will vie for $50,000 USD in prizes during the live event, which is being televised on Chinese video game network GTV and livestreamed globally on Twitch. Fans around the world will watch the first-ever Guild Wars 2 global PvP champions crowned in the same week that they’re given better-than-ever building blocks to try their own hand at becoming high-level competitors. One of the biggest building blocks they’ll get is an overhaul to the matchmaking algorithm. When the updates launch in December, PvP matchmaking in Guild Wars 2 will use Glicko2 ratings, a widely accepted player skill evaluation method, in addition to other factors such as player rank and team party size. The updates also introduce a dishonor system, where behavior such as quitting matches mid-stream will affect a player’s rating. With these changes affecting leaderboards, ArenaNet will launch a new Ladder Formula and conduct a test season in mid-December, an exercise that could be a step towards organized league play. Other big changes coming with the update include new PvP modes that encourage practice skirmishes, such as an unranked “Practice” mode where players can hot-join to quickly sharpen their skills. ArenaNet is publishing a series of blog posts starting today through the end of this week detailing each PvP update as well as outlining the upcoming Ladder Formula Test Season at www.guildwars2.com. “This year we worked with our community to bring you the ‘Tournament of Legends’ as a path to Legendary weapons, the ‘Tournament of Glory’ to earn unique skins through skill based play in PvP, the ESL GO4 tournaments where players can earn weekly cash prizes and an even bigger monthly cash prizes, and the World Tournament Series, where the very best players of each region can become legends on the international stage,” Corpening continued. Announced in August of this year, the WTS is the first cash-prize tournament for Guild Wars 2, with $150,000 at stake over the course of three championship tournaments planned for 2014-2015 in China, North America and Europe. The event in Beijing represents the first championships and is the culmination of months of competition that began with an open tournament inviting all players. The field was whittled down to four finalists after WTS Invitational Qualifiers in October – two teams from the host region China and one team each from North America and Europe. More information is available on ArenaNet’s official page for the World Tournament Series at: https://www.guildwars2.com/en/events/world-tournament-series/. Gaijin Entertainment announces that it has begun a long-term collaboration with the Russian Kubinka Tank Museum.